And that’s how we treat our guests commencing with a special traditional welcome with banners on their arrival to the mystical & miraculous land of India. A welcome in traditional splendor that follows you to each city you go and each hotel you check-in to. 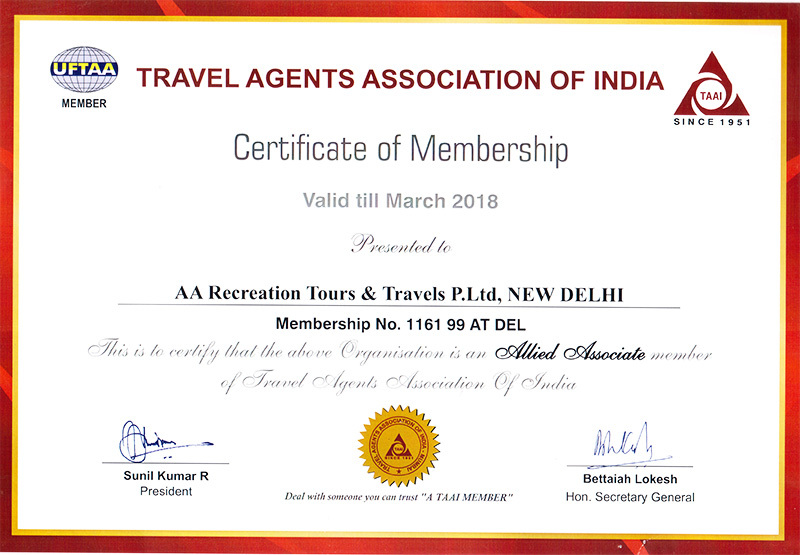 Established in 1983, AA Recreation Tours & Travels – India’s leading Destination Management Company ; has created a niche for itself in the Travel & Tourism Industry. 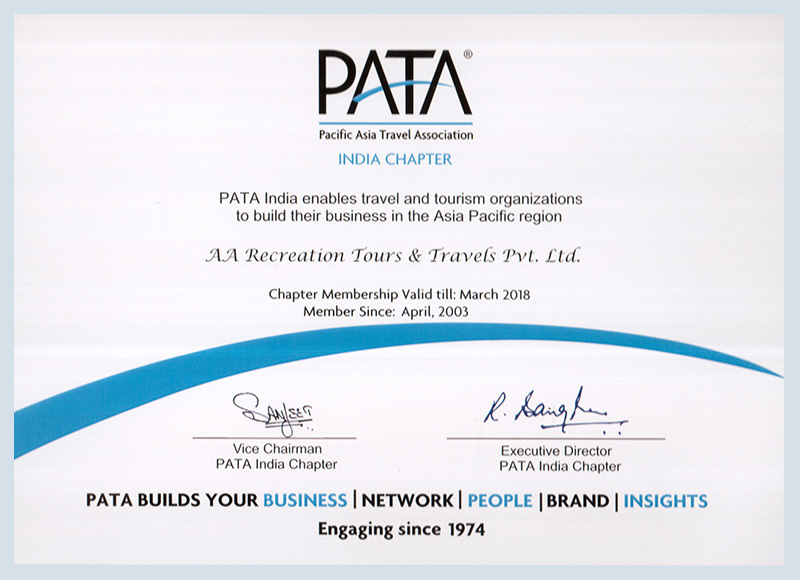 The Company is managed by a group of sincere, skilled, experienced & finest tourism professionals having vast knowledge in every aspect of Tourism industry. 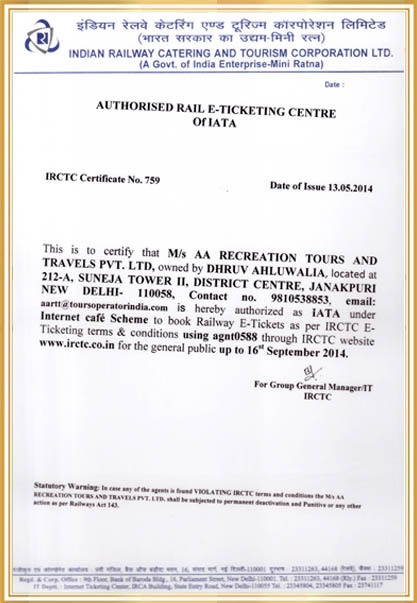 We provide an exhaustive range of services for holidays & travel at individual & group level. To encourage & provide premier services and innovative options to all customers. 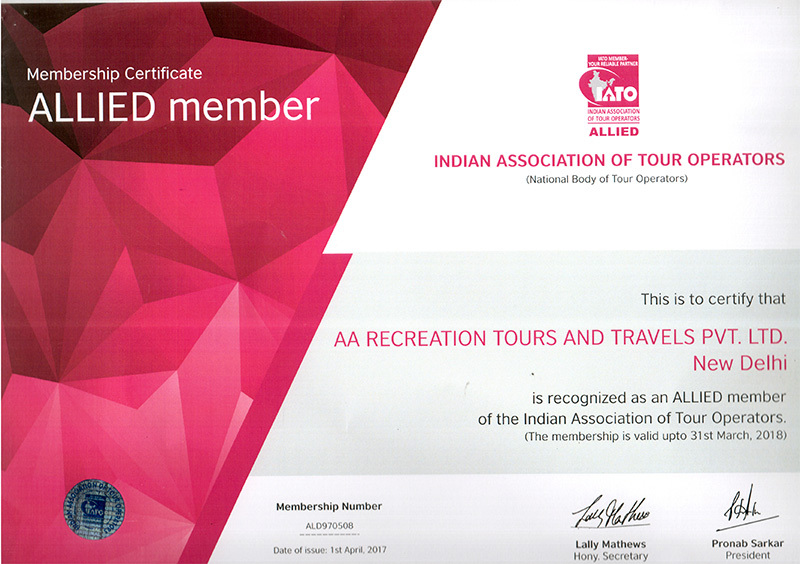 To strive for an integrated & proactive approach in making travel a magical experience. 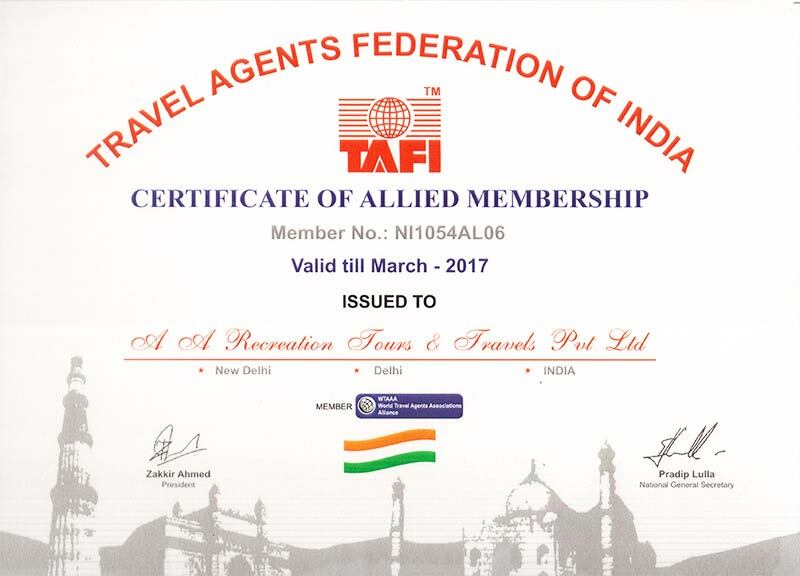 To share our knowledge & enthusiasm with our client’s passion & thus creating a True Travel Partnership. 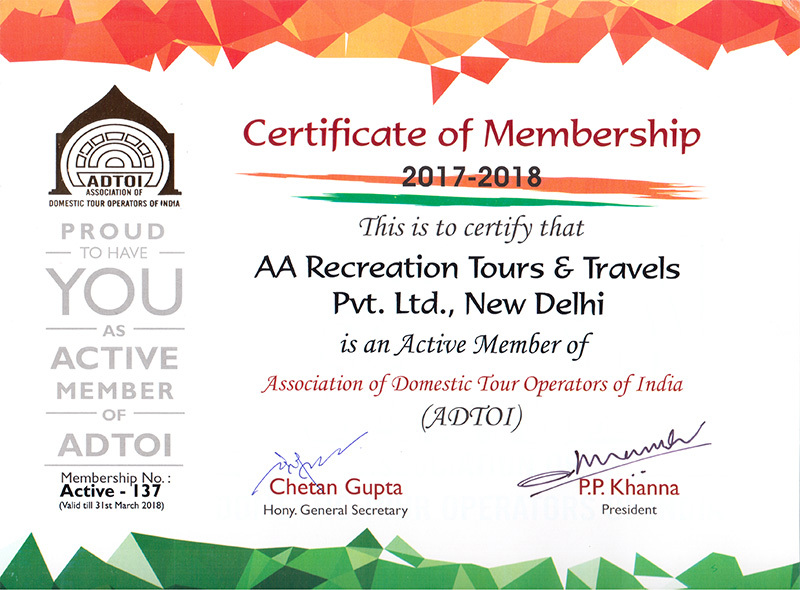 A profound knowledge & experience of travel industry has enabled us to provide not only 1,000+ tours but also tailor made itineraries for our clients. With a database of more than 5000 hotels & age-old relations with premium hotels; we provide our clients an edge in terms of price complemented with world class service. 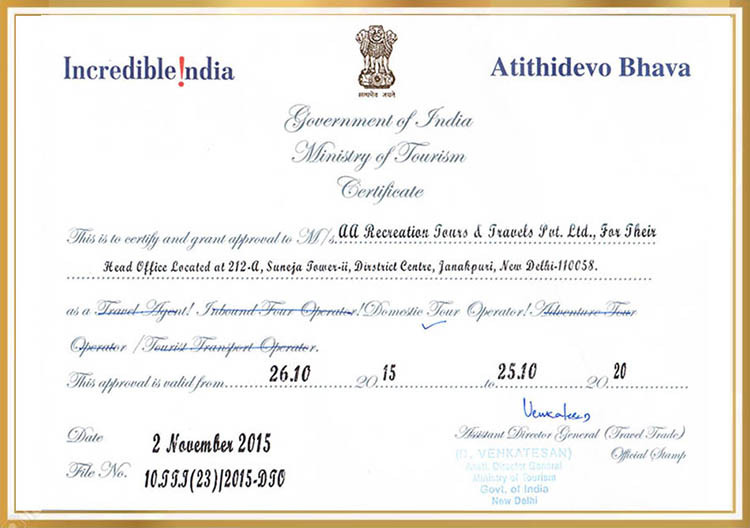 Graduate in Tourism from Delhi University has done his Masters in Tourism Twice from Delhi University and Jaipur University. He’s an expert serving tourism industry with his innovative ideas and better plans for more than three decades. He’s a visionary & a strategic thinker with the ability to think outside the box. 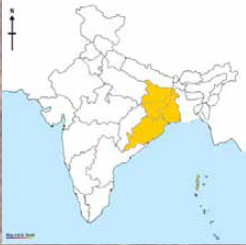 Graduate in Tourism from Delhi University has done her Masters in Tourism from Delhi University. She’s an expert with an experience of more than three decades in handling large number of domestic groups in India, Nepal & Bhutan. Her age-long associations in the travel industry has benefited the company in many dimensions. Graduate from Delhi University has done her Masters in Marketing from Symbiosis University. She’s promoting Indian tourism to global heights with her pioneering concepts & passion for travel by representing company in overseas travel events & roadshows. An Engineer by education is a young, energetic & dynamic guy managing the company’s digital presence on the web & other medias. He’s also looking after the marketing & development of the company. He has established association with FTO’s across the globe & strengthened B2B & Corporate market exceptionally.